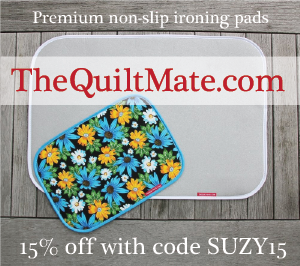 If you’ve ever been intimidated by free motion quilting, raise your totally capable hand. I know. I'm right there with you. 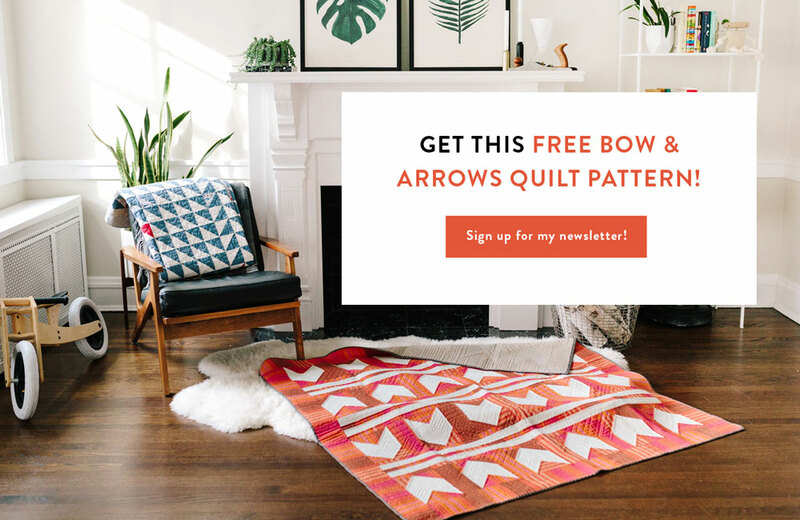 At first, basically everyone feels like free motion quilting is out of their league, but everyone can do it – with the right tools. 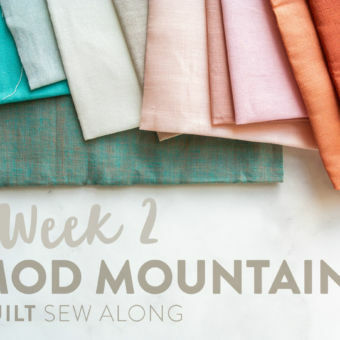 Also, with a step-by-step free motion quilting tutorial geared toward beginners. There's a saying that a poor craftsman blames his tools. Well, that doesn't apply here. The right tools can make all the difference – especially in the beginning when you are learning. 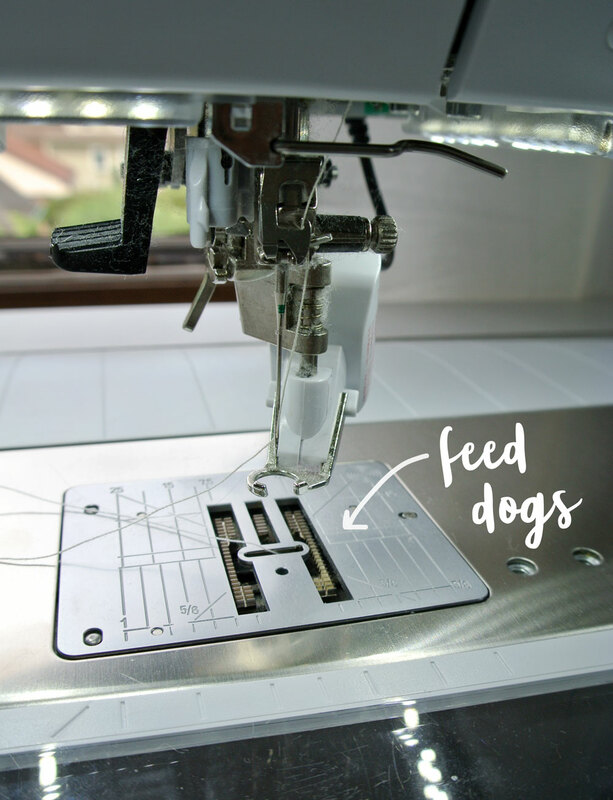 Without going into lots of detail, to free motion quilt, your sewing machine must be able to lower its feed dogs* so that there is no resistance or pushing of the fabric. 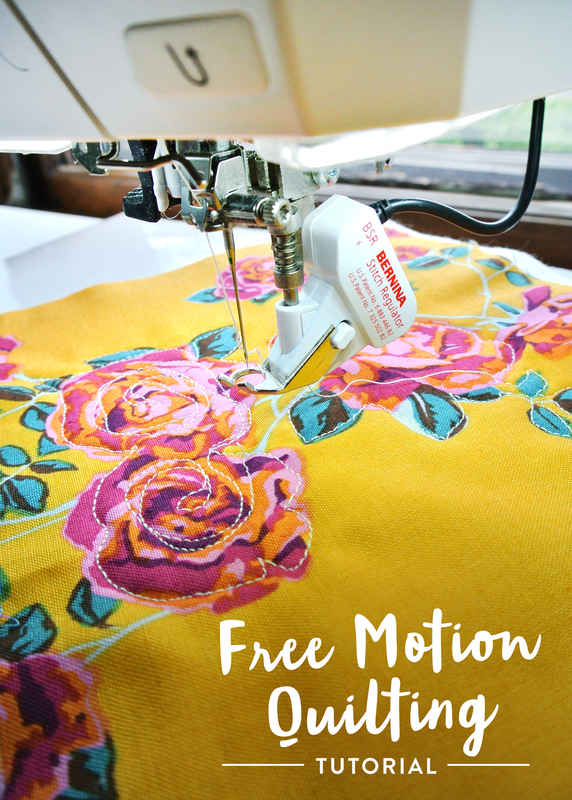 You will also need a free motion foot that is compatible with your sewing machine. In most cases, it is brand-specific. Once the feed dogs are lowered and your free motion foot is securely attached, you are in complete control of the fabric and the stitching. 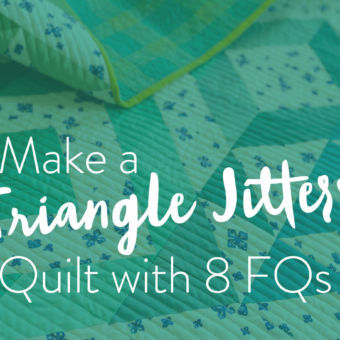 Your machine will provide no resistance so you can freely maneuver the fabric or "quilt sandwich" around in any pattern you like. This much freedom can be scary, and at times, frustrating. I can say with certainty that you won't sew perfectly the first time you try. But that's OK! 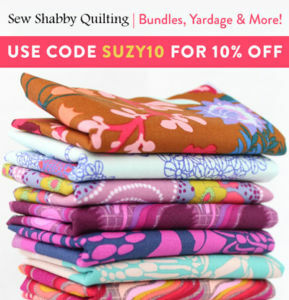 We're a laid back lot here at Suzy Quilts and perfection is overrated. The key is to practice on small projects. I like to practice by trying to outline a design on some fabric. 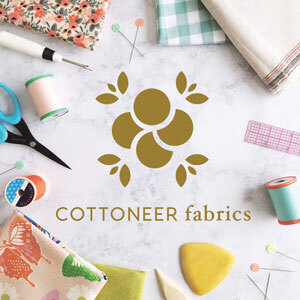 In the video below I am using a few of the tools I list below and simply outlining the pretty floral design in some Anna Maria Horner fabric.​ Check it out! 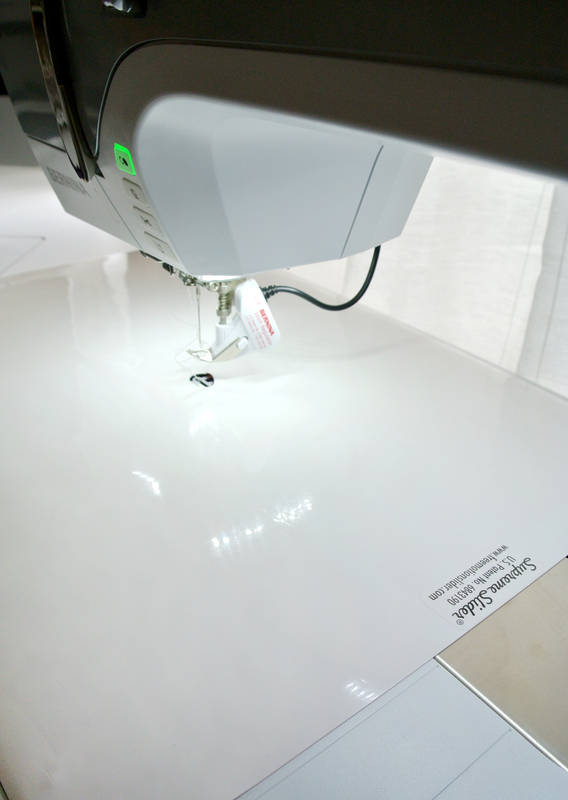 This amazing little foot produces neat, consistent stitches that are precisely the same length while free motion sewing. The way it does this is through sensors that react to the movement of the fabric. 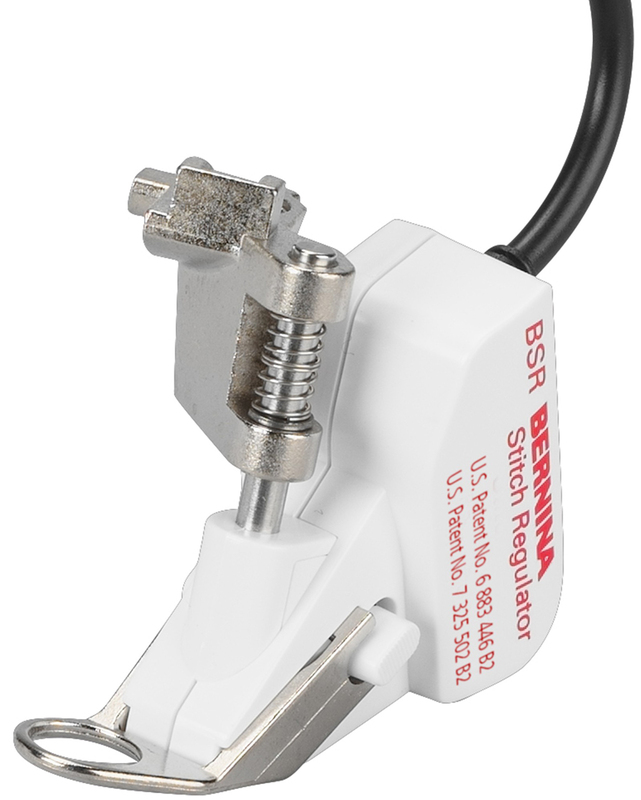 This nifty accessory is able to adjust the speed of the machine automatically. 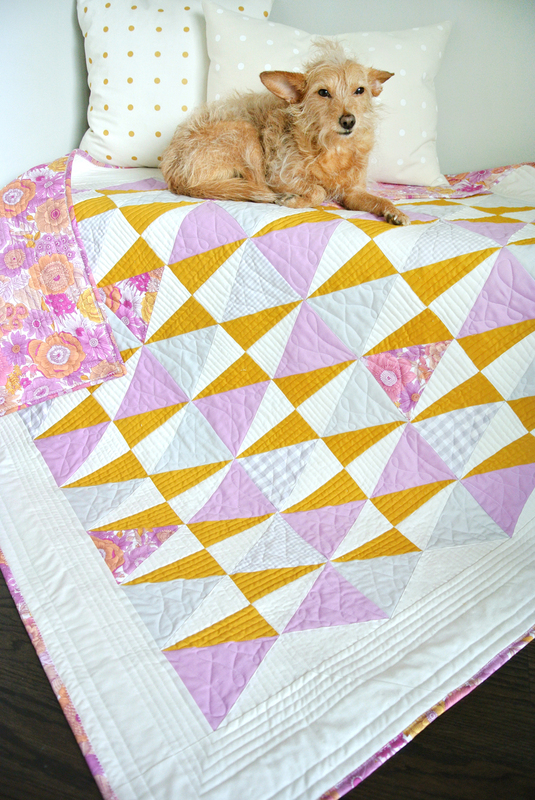 Get this FREE Liberty & Flowers quilt pattern here! 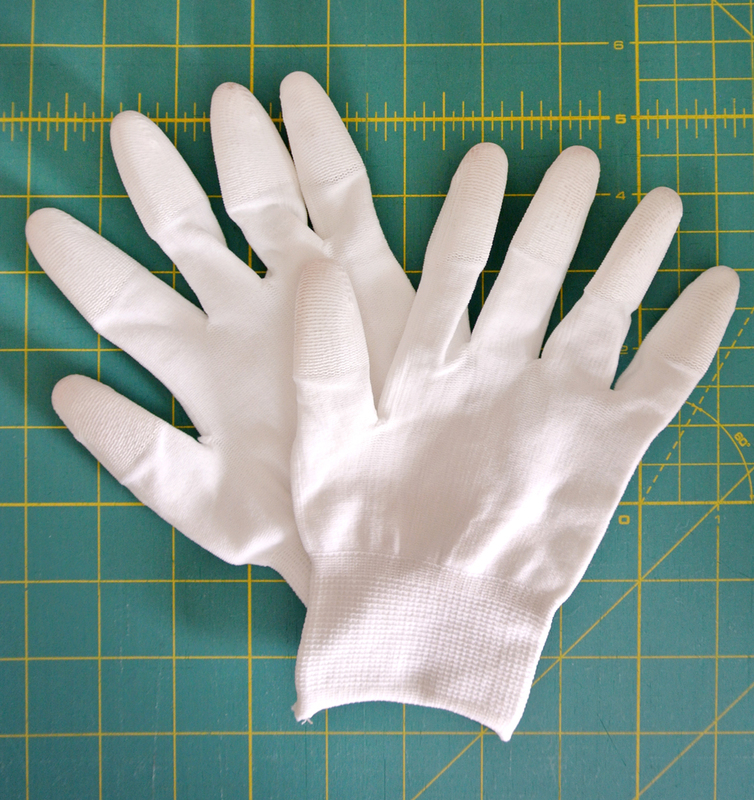 Whether you’re a free-motion newbie or you’ve been doing it for years, quilting gloves are going to make your life waaaaay easier. I found my favorites on Amazon – they’re really affordable, and definitely get the job done. Just ignore the fact that they’re called Machingers. Actually, no. That’s an awesome name. Wear your Machingers with pride. I'm one of those people who enjoys a good workout...at the gym. 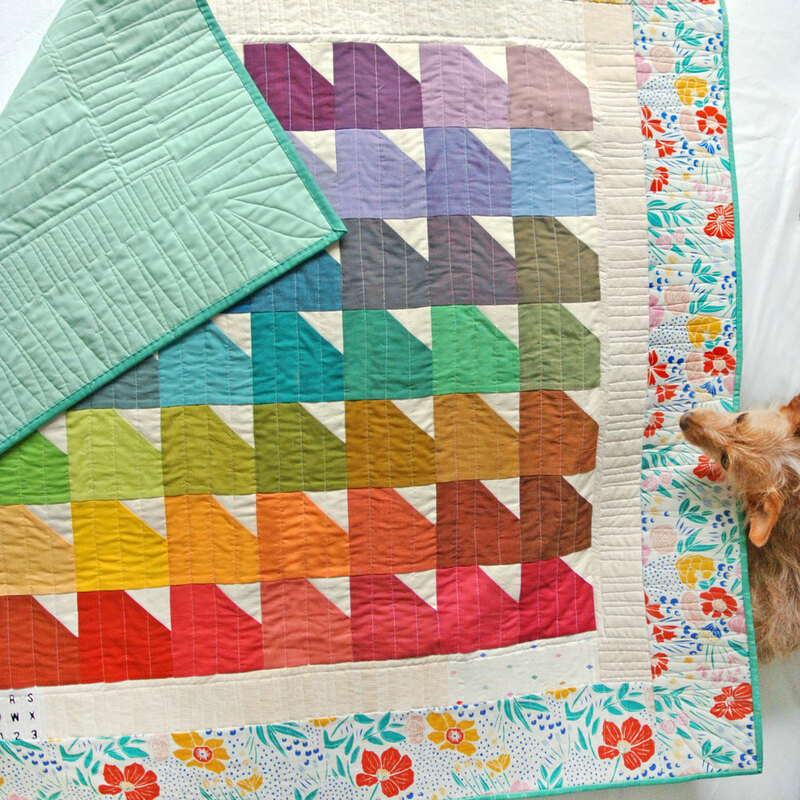 When I'm in my sewing studio I want my quilting to be as smooth and easy as possible. Using a Supreme Slider while free motion quilting gives my bulging biceps (they totally are...take my word for it) a break. Oh, and we’ll give some credit to the gloves, too. 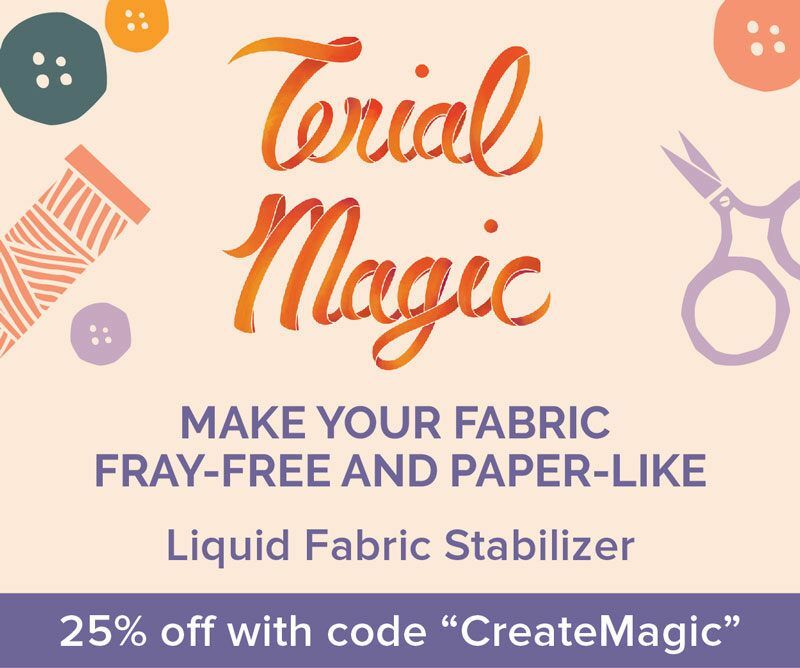 What are your tools, tips, tricks or thoughts on free-motion quilting? Have you tried it with success? I'd love to hear about it in the comments! Ok, I really need to give this a go! 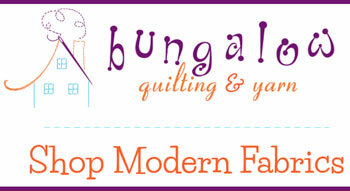 I have always had a longarmer finish my quilts, but it’s time to be independent!! Thanks for the push! You totally got this! You may want to start with simple straight lines using a walking foot. But in no time you will be a free-motion champion! It was so nice to meet you in person at BU…. 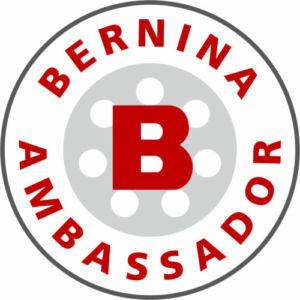 your class keep everyone interested and the time flew by so fast… enjoy your Bernina, they are awesome. 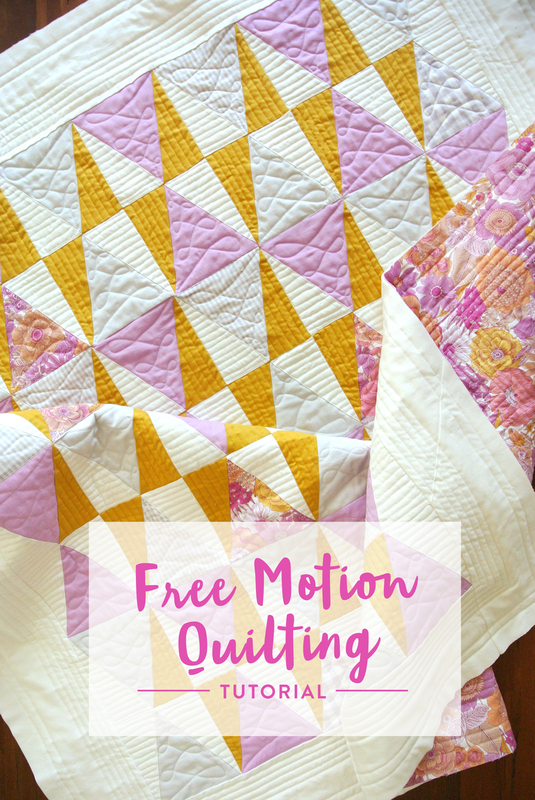 My fear with free motion quilting is, how do you keep your design consistent?? And how do you choose a design?? 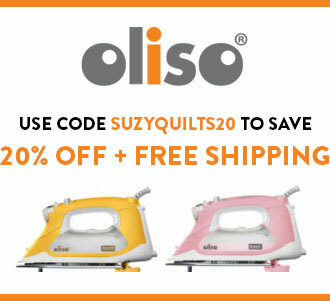 I just bought a machine with a quilting foot so I can give it a try, but I’m terrified! I’m a new quilter and I send my tops out to be quilted. 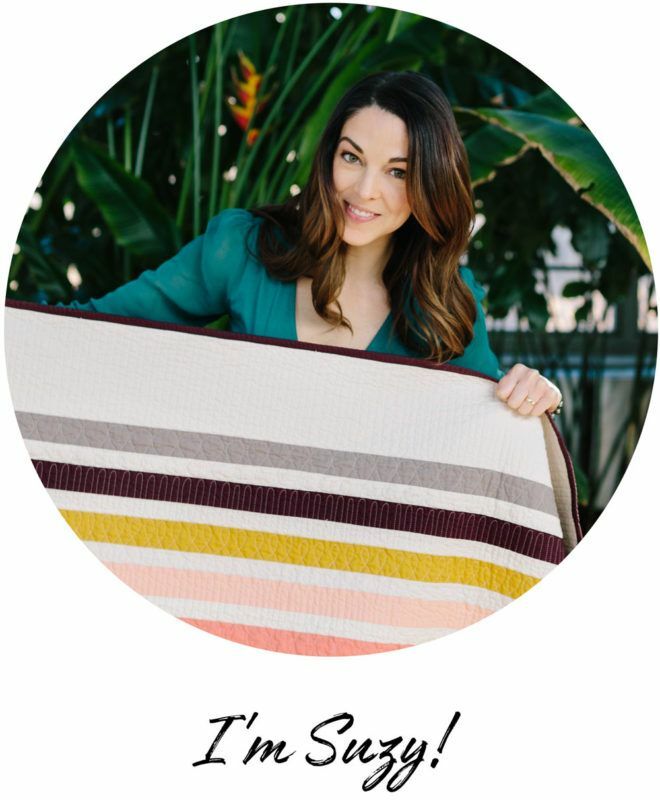 But at $100+ per quilt it’s getting too expensive. I have 3 tops waiting to be quilted now. My husband asks me why I’m not quilting and I tell him. We are both retired now and money is tight. So, after watching this tutorial, I’m going to go for it! Wish me luck! If your bottom thread is really loose, it could be a speed issue. 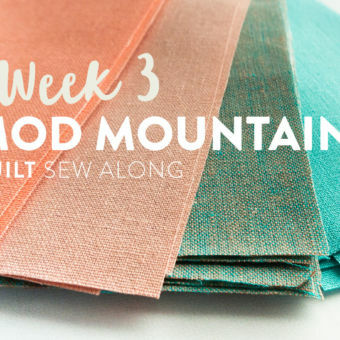 Try sewing faster and see if that solves the problem. If that does nothing, then start slowing adjusting the top thread tension to make it tighter. 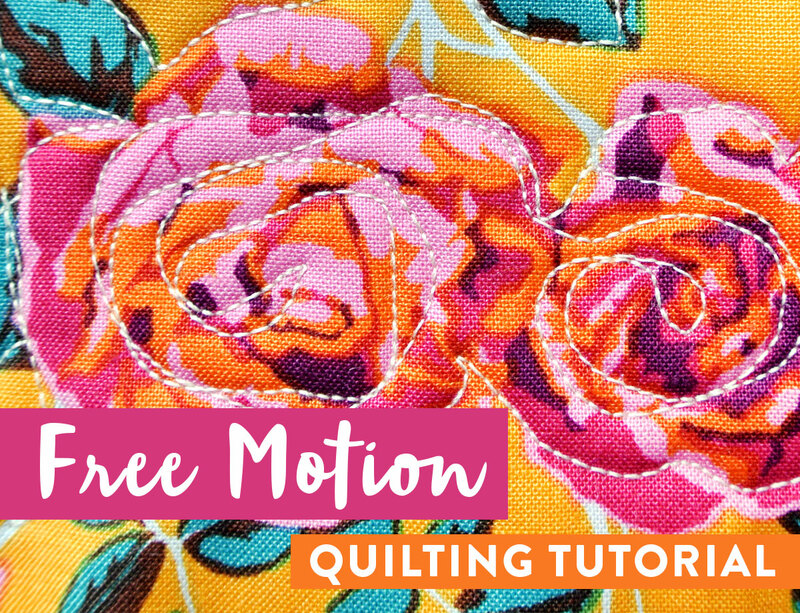 If you look up “free motion quilting troubleshooting” there are also other blog posts and videos that could help. 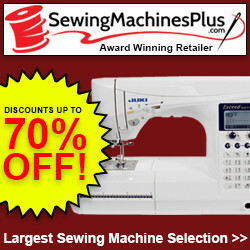 Any best recommendations for sewing machine for kids? Hi Suzy. I just completed my first quilt project —a baby quilt — and I couldn’t be more pleased. I’m a quilter now!! But I didn’t (still don’t) have the proper equipment yet. My basic Brother machine won’t let me adjust the feed dogs and no plates will fit over them. So I did FMQ with the feed dogs up. At some point, hopefully very soon, I’ll upgrade to a better machine. Looking forward to what’s ahead! 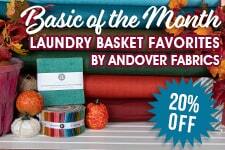 Absolutely brand new to FMQ so please don’t laugh, how fast does the needle have to go? Videos look like the going pretty fast.